I do not understand exactly what an application server like Tomcat, Weblogic, Websphere, GlassFish etc. does. ... I do not understand what exactly an application server does and how it does it; if you know some good tutorial (or book) about this, or are willing to give a more detailed explanation about this, please answer. I believe this is just a collection of links. I've read some questions about link-only answers from both MSO and MSE and the consensus is "We don't need link-only answers, flag them as NAA or VLQ". This particular answer does look like an answer to me, albeit not a good one. I couldn't flag it as VLQ because of its score. Q: The accepted answer with 32 upvotes is just a link. [...] Is this flagable? I know in the good ol' days SO was a bit more lawless, but how should it be dealt with now? A: I went ahead and converted that answer to a comment, as we would do today if flagged. In particular since there is another, much more detailed and also highly voted answer. Although I doubt that this answer can be converted to a comment easily. The container gives the application a proxy and intercepts calls and performs tasks before invoking the actual bean. Was this sentence the reason my custom flag was declined ( flags should not be used to indicate technical inaccuracies, or an altogether wrong answer )? If I were wrong to flag that answer, how should I have dealt with it? 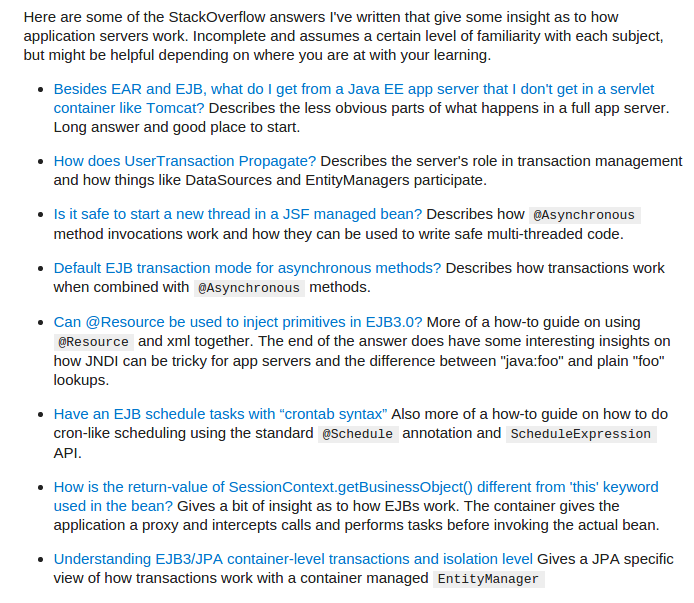 Browse other questions tagged discussion declined-flags link-only-answers specific-answer . When are answers just linking to some one else Answer/Text Ok? (How) should I flag an answer that links to a self-written external package to solve the question's problem? What should be done with popular answers that are copy/pasted from copyrighted works?